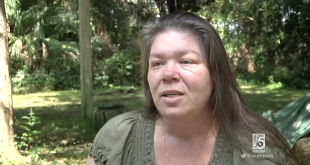 Friends and family members share their memories and loss of Marion Rose Harvey, 51, who was killed when her scooter was pushed into a pickup truck from an oncoming vehicle on Wednesday night, October 8, on SW 34th Street in Gainesville. 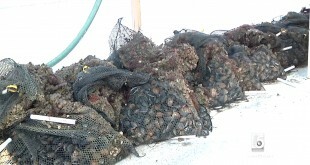 Cedar Key's 45th annual seafood festival is two weeks away, but the area has been battling an algae bloom known as red tide for almost a month. The bloom is almost impossible to predict, making the fate of the festival uncertain. Florida Fish and Wildlife Conservation Commission said there is little movement of the red tide patches along the shore of Taylor, Dixie and Levy County. 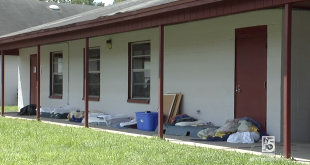 Grace Marketplace offers new dorms to homeless who volunteer at the new shelter. Some pavilion residents prefer to stay outside in tents at Dignity Village. 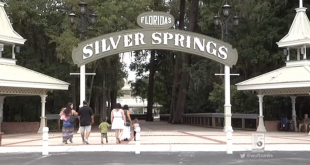 One year after taking over, the state of Florida returns Silver Springs State Park to its natural roots centered around the Silver Springs and Silver River. Grace Marketplace will soon close two facilities to alleviate some of its expenses. 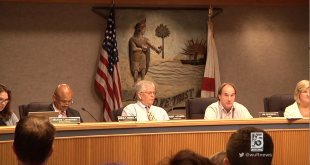 Gainesville and Alachua County are funding a project that provides meals, showers and mental health screenings for the homeless.